Indicated for sealing and permanent fixation of metallic sheets in automobile and truck bodies, original rubberizing, internal reinforcement of hoods, gutters, fenders, car door sills, and headlights and tail lights compartments, avoiding infiltration by water or dust. It is also indicated for the use on bends, rivets, welds, and corners of metallic sheets in the repair of vehicles and junctions of gutters. • Prepare the surface and apply the Maxi Rubber Wash Primer for a good adhesion in non-ferrous metals and a better anti-corrosive protection for ferrous metals. 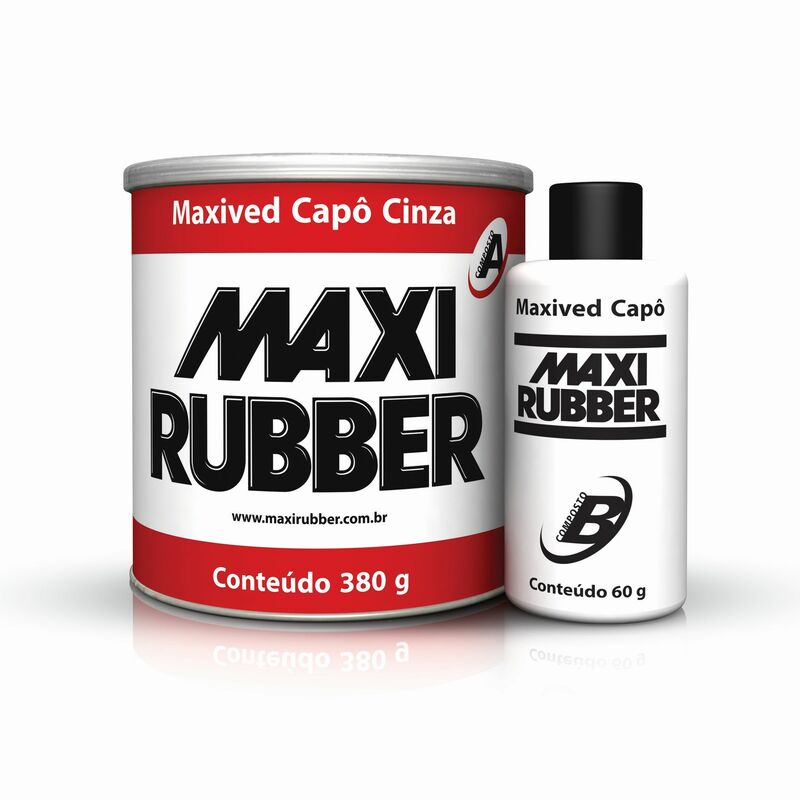 • Add Composite B (60 g plastic tube) inside the Composite A can (380 g) and mixture well until obtaining a homogeneous color. • Use all product within 40 minutes. • For partial catalysis of the product, follow the proportion: 100g of Maxived Hood for 15 g of Composite B. • Do not apply the Maxived Capô in layers too high, since it may present cracking. • Avoid contact of Composite A and B with water and detergent, as they react when in contact with water. • After a 2-hour final drying at 25º (low layer), the application of the paint may be performed. Product: Fatty acids polyol, additives and mineral loads. Catalyst: Polyisocyanate.